We are extending the full faith and credit of the U.S. government to foreign companies, when we should be extending it to the American middle class instead. When these foreign borrowers go broke one day, as they surely will, our taxpayers will end up on the hook for their debt. And all for the sake of U.S. exports that would have happened anyway. On the Democratic side, Bernie Sanders and Barack Obama (on the campaign trail) railed against the “cronyism” of the Ex-Im Bank by heaving forward the left-wing talking point attack on the Bank as being “corporate welfare.” Grayson is also joined by Democratic Representative from Texas, Lloyd Doggett, in opposition to the existence of the Ex-Im Bank. The question surrounding the bank is particularly prescient due to the fact that its formal authorization is set to expire on September 30, the day Congressional funding for the entire Federal government runs out. 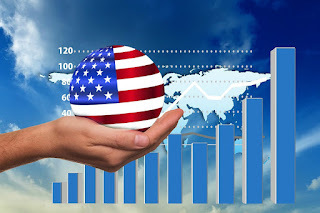 The Export-Import Bank, while not nearly as well-known as the Federal Reserve, is nonetheless an important part of the United States economy, particularly in the area of American exports. The Bank functions as the export credit agency of the United States and, in many ways, it functions as an insurance company more so than an actual bank. Essentially, the Ex-Im Bank offers credit and financing for U.S. exports that may be considered too risky by the private sector. The Bank also offers credit for those exports that the private sector is not willing to finance. The general idea of the Export-Import Bank is to facilitate exports in cases where, due to international relations, international economic disturbances, etc., the potential exporter may find it more difficult to secure loans from the private sector. If the transaction goes through according to plan, the money changes hands from buyer to seller and the Bank makes a profit. If the buyer receives the goods and refuses to pay, the Bank absorbs the cost and the seller survives. In addition, the Bank runs three other programs. 1.) It can make direct loans to foreign buyers of U.S. exports. 2.) It can make loans to banks that lend to foreign buyers. 3.) It can make “loan guarantees” to other banks which are making “working capital” loans to U.S. exporters for the purposes of procuring funds for salaries, and materials, etc. The political catcalls of corporate welfare and cronyism, while nothing more than political football and scapegoating, are not entirely without merit. To be sure, the Ex-Im Bank is infested with corruption. After all, what government agency isn’t? Bigger questions, however, revolve around whether or not the Bank really exists for the purposes of promoting U.S. exports or whether it exists for the purposes of subsidizing major international corporations like Boeing. The fact is that the Export Import Bank has made a number of questionable decisions in the past regarding loans and loan guarantees. For instance, the Bank was heavily involved in making loans to projects maintained by Enron shortly before its bankruptcy. Likewise, the Ex-Im Bank has provided its fair share of loans and loan guarantees to other international companies like Boeing, General Electric, and Caterpillar. 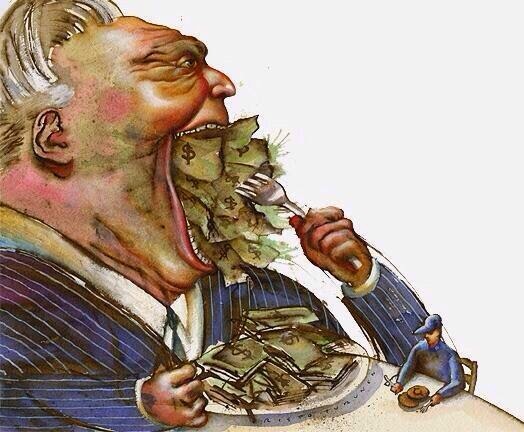 In fact, loans to large companies make up the bulk of the dollars loaned by the Bank. Indeed, the top ten percent of loan recipients made up approximately 97% of the dollar amount of loans issued by the Bank. Thus, when observing the lop-sided loans provided by the Bank, one can clearly make a case that the Bank is providing more loans and other forms of assistance to large corporations than it is to smaller ones. In addition, a case regarding the nature of those exports – whether they are legitimate exports or products of the police state/war economy, might very well be presented as well. Yet, despite the overwhelming preference for large corporations, it should be noted that larger corporations tend to export more products than small businesses. While corporations like Boeing, GE, and others are products of the Wall Street gambling economy, police state, technological control grid, and the permanent war economy, the presence of large industry is also vital to a national economy in much the same way as small business and individual commerce. Thus, to criticize the existence of the Ex-Im Bank solely on the grounds that it provides credit to large industry is unjust. Likewise, allowing such a valuable resource to act as the benefactor solely of major corporations is also unjust. In 2011, GE was bidding against a Chinese company on a $477M contract to export US-made locomotives to the government of Pakistan. The buyer preferred the GE locomotives. It surprises some to learn that the quality of American manufacturing – especially in the areas of heavy equipment and capital goods – is still second to none. China, India and other emerging powers are working hard to overcome their deficits of quality and skills in part by buying American companies along with their plant, equipment and intellectual property. In the Pakistan contract, GE was severely undercut by the lower prices and cheap financing terms made available to the Pakistani buyer by China’s aggressive Eximbank. Thankfully, America’s Ex-Im Bank stepped up to the plate to match the Chinese financing terms and win the contract for GE and its workers in Erie, PA and Fort Worth, TX. In fact, although the actual amount in dollars provided by the bank in terms of loans, loan guarantees, and the like goes to large institutions, about 90 percent of the bank’s customers are actually small firms. So what the bank gives up in terms of money for large firms, it makes up in terms of the quantity of smaller businesses. Indeed, the Bank is not set up solely for the benefit of these large corporations but for the benefit of the U.S. economy as a whole. As an example, in August of last year, the Ex-Im Bank was responsible for providing the necessary credit insurance for Preferred Popcorn of Nebraska, a farmer owned company with a handful of employees to sell its product to 60 different countries around the world. As a result, the company saw its sales jump and subsequently hired more workers. Much has been made of Ex-Im’s focus on large manufacturers like Boeing, GE and Caterpillar. Critics call this “crony capitalism” and demand greater support for small business. But what small business can deliver a fleet of locomotives or jet airliners? Naturally, big businesses manufacture and export the most goods, and therefore use the most credit. But indeed, many smaller businesses take advantage of Ex-Im’s services for working capital, financing for foreign buyers, term financing and risk protection. Ex-Im’s website offers a user-friendly tool to find their customers in each State. Critics who call Ex-Im “The Boeing Bank” can simply search or scroll the wide-ranging list of industrial and agricultural businesses served by the bank (2,778 in 2013, of which 2,160 were small businesses). Aside from the aid that the Ex-Im Bank has provided to businesses such as Preferred Popcorn and the tremendous potential the Bank has in terms of the ability to aid in the jumpstarting of the economy, the fact is that much of the criticism leveled at the bank is entirely illegitimate. The idea that the bank is nothing more than a vacuum and dispensary of taxpayer money with no discernible benefit is just one such of those criticisms. First, despite being a bank, Ex-Im is nowhere near the bloated federal agency that is presented to the public by its enemies. In the entire $3.5 trillion U.S. budget, the Ex-Im Bank is a mere $90 million of total overhead. The bank does not contain an army of federal bureaucrats as it has only 400 employees within its entire structure. What’s more is that the bank does not cost the U.S. taxpayer a single cent since all of its costs are paid by fees and interest from the bank’s customers. In fact, in 2013, the bank turned a $1.1 billion profit which it paid into the federal Treasury. According to the Congressional Research Service, despite the worldwide economic depression, the Ex-Im Bank has been able to pay for itself since 2008. In addition, since 2006, the Bank maintains that it has had a default rate that has averaged less than 1%. The reason behind the surge in vitriol against the Ex-Im Bank in recent years has its roots in the same agenda of deindustrialization and globalization that brought us the plethora of trade agreements from GATT and NAFTA to a series of trade agreements with China, South Korea, South America, Central America, India, Europe and virtually every country on the face of the earth (at least those countries that are not slated for American invasion). In other words, the goal is to completely deindustrialize countries in the West where workers have experienced some modicum of rights, benefits, and compensatory pay. Labor is to be moved offshore to nations where the cost of production is cheap and where the actual producers can be abused in the process. Living standards are to be drastically reduced worldwide as is the concept of scientific progress for the general public. While the world oligarchy sits atop a global economy where the high sciences are used to provide them with higher living standards, advanced healthcare, and a life of scholarship and leisure, the overwhelming majority of a vastly reduced population will exist at the bottom toiling under atrocious working conditions, low living standards, shorter life spans, and complete ignorance. In short, the ultimate goal is a scientific control grid that enforces the rules of the new world feudal system. Thus, it stands to reason that, in order to de-industrialize the United States, all institutions and policies which provide some element of protectionism or dirigistic notions of the American political economy must be destroyed. Whether those institutions or policies may come in the form of a protective tariff, national control of central banking, or even the Export-Import Bank, those policies and institutions must be removed as a roadblock to the ultimate goal of de-growth and a post-industrial world. It is for this reason that institutions like the Ex-Im Bank are under attack. Despite its problems, the Ex-Im Bank is, by its very nature, a dirigistic institution. It is an institution that provides a form of protectionism for American industry. Eliminating the American Export-Import Bank comes with another added problem – the fact that the United States would once again be handicapping itself in the field of international trade and relations. Indeed, many other countries, particularly those heavily invested in trade, have their own versions of the Export-Import Bank. China, for instance, has its own version of the bank called the Export-Import Bank of the Republic of China. India also has its own Ex-Im Bank as do Australia, Russia and approximately 60 other nations. Ex-Im releases yearly “Competitiveness Reports” to review state-sponsored export financing around the world. Last year, Ex-Im issued $14.5B in new export credit for American manufacturers, a steep drop from $31.3B in 2012. This support was exceeded by Germany at $22.6B, Korea at $14.8B and world leader China at $45.5B. Taking into account China’s other development banks, export credit for Chinese manufacturers is believed to exceed that of all G7 countries combined. Per the agenda of de-industrialization of the West, countries with dismal worker’s rights and labor conditions will continue to maintain an Export-Import Bank and some modicum of dirigism while the United States and its Western neighbors squander the good fortune they were blessed with. The United States is clearly on track to reduce living standards and economic productivity worldwide as opposed to raising these standards for all concerned. Thus, in terms of international trade, China would be pleased if the American Ex-Im Bank were to be eliminated. After all, the reduction of U.S. exports means more production for China and more potential future markets for the “developing” nation. The problems experienced by the Ex-Im Bank in terms of what industries benefit the most from its services and whether or not those industries are disproportionately benefiting from Ex-Im cannot be ignored and they should not be. However, a solution to the problems of corruption in the institution that involves simply eliminating the bank is nothing more than a knee-jerk reaction. Eliminating the Bank would eliminate an important institution and tool of the U.S. Federal government to encourage and support American industry. Indeed, it is estimated that the bank supports an average of 205,000- 1.2 million American jobs as a result of its current operations. Eliminating the Bank would place a significant number of these jobs at risk. Although admittedly not as powerful as the Federal Reserve in terms of economic influence, the Bank does have an important effect on American exports, particularly on smaller firms as well as larger businesses. The idea that anyone would eliminate a profitable, dirigistic institution such as the Export-Import Bank is an exercise in foolishness at best and malevolence at worst. In reality, not only should the Export-Import Bank not be eliminated, its functions should be increased and its ability to assist American exports should be fully funded and expanded. Of course, any issues of preferential loans or loan guarantees of a corrupt nature should be investigated and dealt with. Ending the Bank, however, is simply a knee-jerk reaction that benefits no one except Wall Street bankers and the agenda of globalism. A high functioning Export-Import Bank would serve as an important tool in jumpstarting a recovery of the American productive economy. Taken in concert with the extension of 0% interest credit for purposes of infrastructure rebuilding and domestic production by a nationalized Federal Reserve and a protective tariff, the Export-Import bank could and would provide another avenue of credit, insurance, and incentive to increase American exports. The United States is well on its way to becoming another third world vassal state completely beholden to private banking institutions and international corporations where Neo-Feudalism is the order of the day. Don’t do China’s dirty work for them. Don’t be duped by the propaganda of private banks, the WTO, and the IMF.